First things first, throw out any old or junk foods left over from the holidays. Next, find some dollar store bins to put under your sink to store cleaning products, and drawer organizers for cooking utensils, knives, food storage ware, etc. Lastly, throw out or donate any broken or unused gadgets taking up space. Out with the old, and in with the new! If you have granite countertops, it’s a good idea to use a granite sealant at least once a year to minimize any scratches and chips that may have accrued throughout the year. To prevent more damage from occurring, make sure that your cutting boards are easy to grab when you need them so that you don’t end up cutting food on the counter. Getting a grid for your sink is also a great idea so that heavy pans can’t chip away at cast iron or porcelain, or scratch stainless steel. Going green is not only good for the environment, but it is also great for making your kitchen space both beautiful and more functional. Try buying foods you use often and keep them in large glass jars in your pantry, or on your countertop for simple and functional decor. Reusable cling wrap can be bought or even DIYed with cotton fabric and beeswax to replace plastic cling film. Also, consider buying glass food storage containers for your leftovers, which will last longer and are microwave safe. Even small touches can open up and brighten a kitchen. Get rid of any faded or out of style counter decor gathering dust. Pick out some fun hanging plants or succulents, make your cookbooks visible on an open shelf, and replace your old curtains with some wooden blinds. 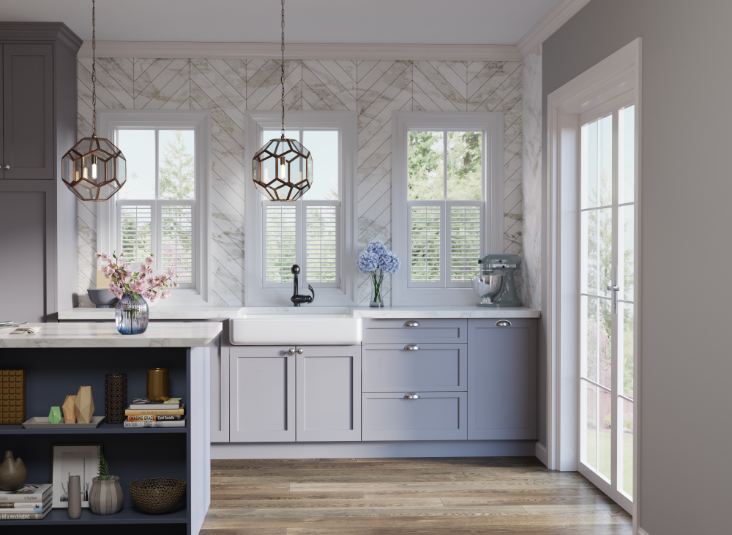 Not all new year's resolutions are fun, but they are all sure to be easier in an organized, clean, and aesthetically pleasing kitchen.